Observing that no case is made out for an offence of hurting any religious sentiments, a bench of Chief Justice Dipak Misra, Justice A.M. Khanwilkar and Justice D.Y. Chandrachud said there was “no sign of blasphemy”. “You have no other business but to file cases” CJI Misra said as respondent said that the picturisation of the song hurt the sentiments of the community and winking was prohibited in Islam. Respondent in the case said that the contentious scene where Priya winks at a boy features the Mappila lyrics — a traditional Muslim song from the Malabar region of Kerala — that celebrates the love between Prophet Mohammed and his first wife Khadija. Priya Varrier’s lawyer Harris Beeran told the court that the folk song was in existence since 1978 and is being sung ever since. 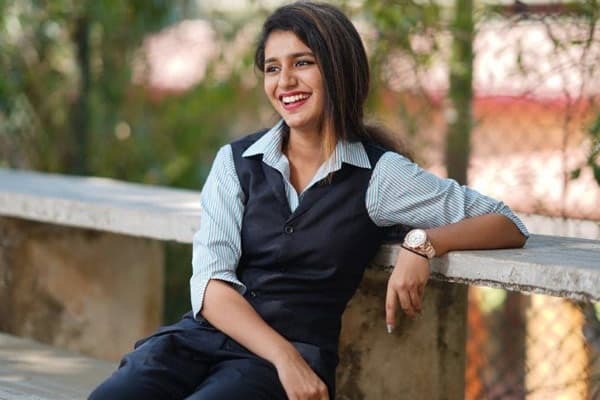 Earlier the top court had on February 21 stayed all criminal actions by Telangana and Maharashtra against Priya Varrier and restrained all other states from taking any action based on the song ‘Manikya Malaraya Poovi…’. Some Muslim activists had lodged an FIR against the team of ‘Oru Adaar Love’ in Hyderabad under Section 295A of the Indian Penal Code on February 14 for hurting religious sentiments. Next articlePaperboy Review : Boring Boy !